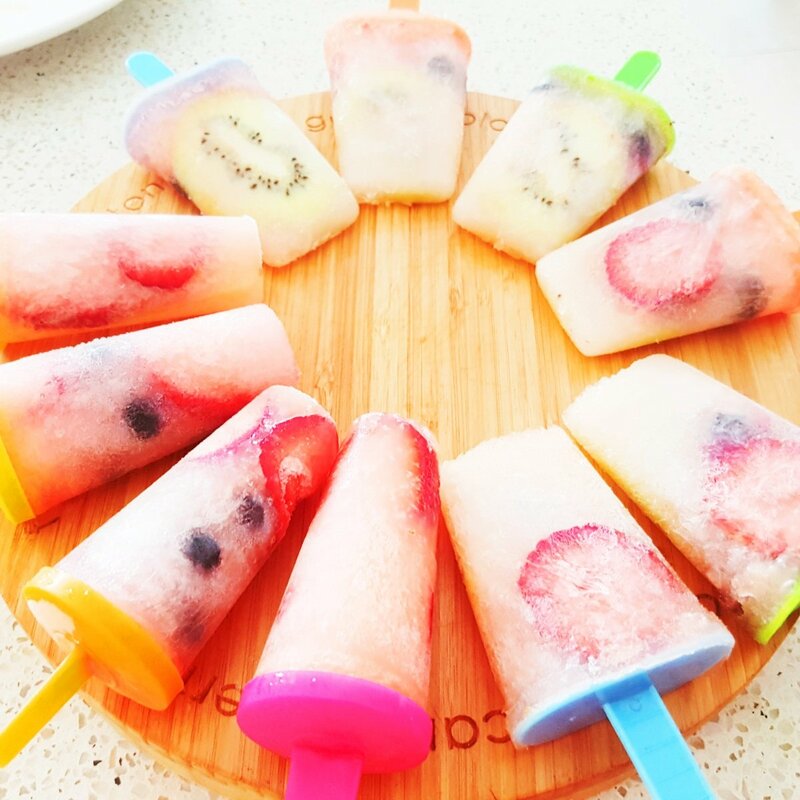 Popsicles are frozen treats made with fruits, water or fruit juice. 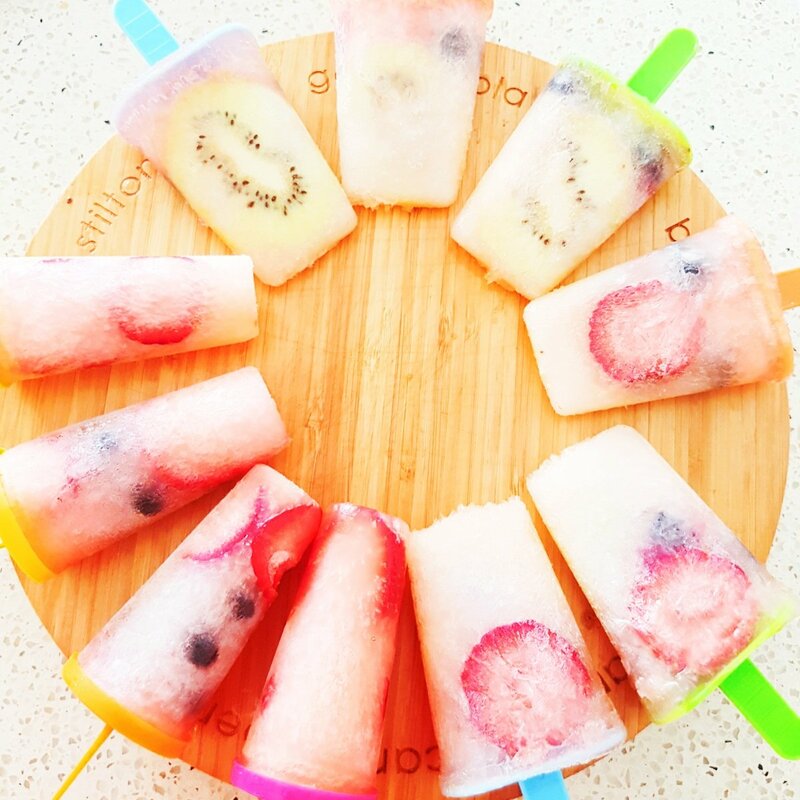 It is a very refreshing and appetizing summer treat. Nothing taste better than this on a very hot summer day. Kids just love ice pops. Growing up in Africa we called this pops Alaska. In sub- saharan Africa it”s always very hot during the day and we cool down with ice pops. This recipe is a healthy one, very basic and easy home made treat. 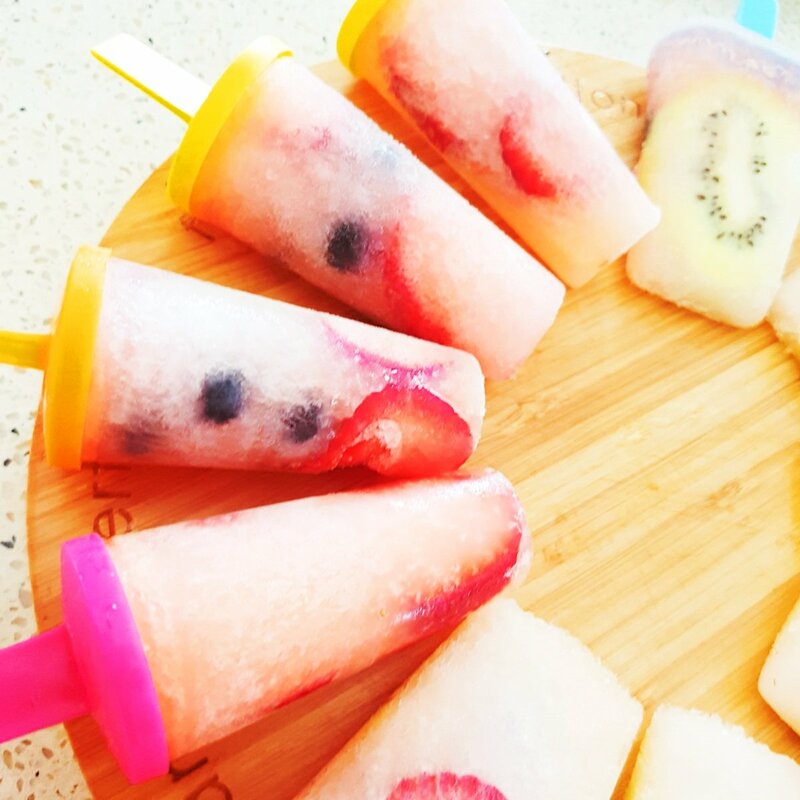 I customised this recipe by tucking in my favorite seasonal fruits into the ice pops and pour in my favorite limonade juice. I should have used a wooden craft stock nut my pop cups have plastic sticks.